If you have lost a single tooth or have had a planned extraction, our dentists can replenish your smile and restore the gap left behind with a single dental implant. A dental implant is a long lasting and resilient dental restoration which will look and feel like your natural teeth. 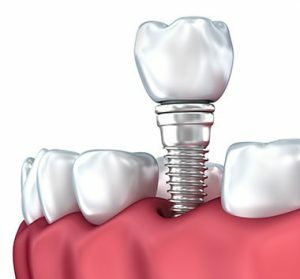 The root of a missing tooth is replaced with a titanium implant which is embedded into the jaw bone. An abutment is placed on top of the implant and a false tooth known as a crown is attached to this. Losing a tooth can be a difficult experience, however our treatment can help to reduce your anxiety and rebuild your confidence.